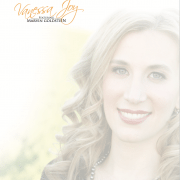 “Sweet By and By” by Vanessa Joy is a hymn sung by Vanessa Joy on her album “Sweet By and By” It is an album of a collection of hymns with a total of 14 songs. You can listen to the song “Sweet By and By” here or you can purchase the song here or purchase the album here. “Sweet By and By” was written by Sanford Fillmore Bennett in 1868. It is a Christian hymn. Jospeh P. Webster wrote the music. Webster was a very sensitive man as described by Bennett, and had many bouts of depression. Webster suffered from being indifferent, melancholy and looked darkly upon life. As they worked together, Bennett would often rouse Webster by giving him a new hymn to work on. The idea for “Sweet By and By” came to him when Webster was visiting his office, obviously looking forlorn and down. Bennett asked him what the matter was this time. Whereupon Webster answered him saying, “It will be all right by and by” Bennet describes that in a flash, as if a ray of sunlight had come into the room, the inspiration came to him to write a hymn, titled, “Sweet By and By”. Bennet grabbed a pen and began writing poetry as fast as he could the write the lyrics to the hymn and handed them to Webster. Webster took out his violin and played the melody and wrote the music to the chorus. It took less than 30 minutes for the song to be written from start to finish. Have you been inspired by hymns? It is my hope that singing hymns and creating “Sweet By and By” will help you to feel uplifted and strengthened by the power of heaven. God loves you and it is evident in the lyrics and melodies within the hymns on “Sweet By and By”. The authors of these hymns thoughtfully and humbly expressed their souls in this music. How has singing hymns inspired you in your life? I’d love to hear from you in the comments below.